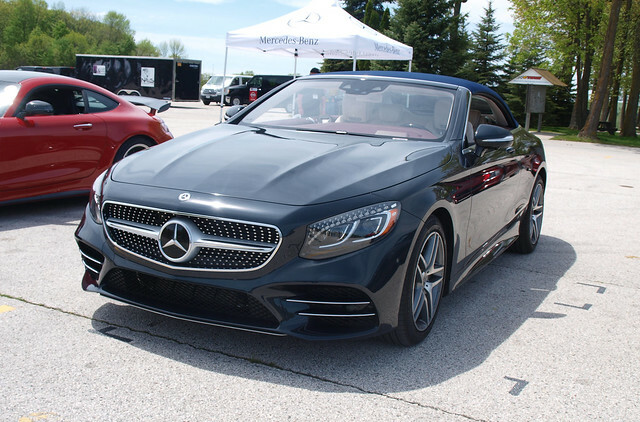 The one theme I wanted to explore at the 2018 Midwest Automotive Media Association Spring Rally was to explore the idea of luxury and prestige further. I left Road America completely satisfied that it was completely fulfilled. Here is the idea: you love the upper end of the market. You love luxury, exclusivity, and the universe of bespoke. You may have a JDM driftmobile or an APR-tuned Golf GTI, but your neck will turn when you see a Rolls-Royce, Bentley, Lamborghini, Aston Martin, or Ferrari drive by. As you have seen lately, V&R has increased its coverage of the upper end of the market. It is not because it was necessary, but a reflection of observations and trends seen lately through our lens. 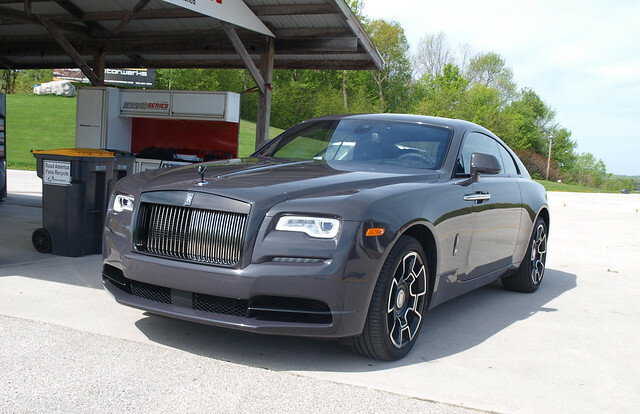 Considering all of this, it would not come as a surprise that the first vehicle I drove at the MAMA Spring Rally was a 2018 Rolls-Royce Wraith Black Badge coupe. With the recent introduction of the eighth-generation Phantom and the new Cullinan SUV, Rolls-Royce has moved the bar in terms of brand equity. The transformation under BMW’s guidance helped the grandest British automaker to reinvent itself by meshing traditional Rolls-Royce elements with the newest of absolutely everything. The Wraith was part of that transformation. It remains so. What Rolls-Royce created was its first performance grand touring coupe. They consider this a “driver’s car” emboldened with “effortless performance” cottoned by a “magic carpet ride.” It exhibited all of these elements as a singular package designed for maximum satisfaction. You are not supposed to feel the 6.75-liter V12, but you can manage it with your right foot. You are supposed to feel the road, but the Rolls-Royce Wraith balances wafting with actual control through the turns. It is easy to drive, but it wants you to enjoy the experience and engages you to give it more. What the Wraith also represents is opportunity. Prior to the introduction of the Black Badge package, Rolls-Royce found their customers applying their own blacked-out treatments to their cars. The package may seem like an affront to tradition, but it reflects today’s customers. In fact, around half of Wraith customers opt for the Black Badge package. On top of the factory-applied blacked-out treatment, my tester had a unique and bold interior atmosphere. On top of the Starlight Headliner, this tester came with a unique black-and-blue Infinity interior theme. But, once you start driving, you forget about the interior theme and the white three-dial instrument binnacle and keep your eyes peeled on the road. The price as tested? All told, this Wraith Black Badge came out to around $421,000. After sampling the Wraith, I had to ponder something. Even at $421,000, a few people would be able to experience the mix of “effortless performance” with its “magic carpet ride.” So, I wondered if anyone could get the same exact experience for less money. You can, but you will lose a lot by doing so. Or, you can embrace the difference another vehicle makes. Enter the 2018 Mercedes-Benz S 560 Cabriolet. The S-Class Coupe and Cabriolet are extensions of a flagship that remains both intangible and aspirational. Once you get into the two-door models, there is an instant air of exclusivity among the Three-Pointed Star set. To drive one, you have to be ready for a level of luxury that sets them apart from the S-Class sedan. While the Wraith was a fastback coupe, the S 560 Cabriolet gave me an opportunity to do some supreme top-down motoring. You just had to find where the lever to work the top is located. Once my colleague and I found it, the top lowered quietly and quickly for maximum UV exposure for a pure luxury driving experience. That is exactly how I describe the S 560 Cabriolet. That, plus the 463-horsepower 4.0-liter twin-turbocharged V8 and its exhaust note is truly the opposite of sublime. It is exciting and fabulous at the same time. The driving experience is of high quality. Superb handling helps to keep the big four-seat convertible planted through the turns while offering a smooth ride expected from an S-Class. There is a lot of “feel” in the Mercedes-Benz, which is welcomed for those who want to have a spirited drive or just a lovely cruise down the highway. The Designo interior adds a specific bespoke touch to the S 560 Cabriolet. 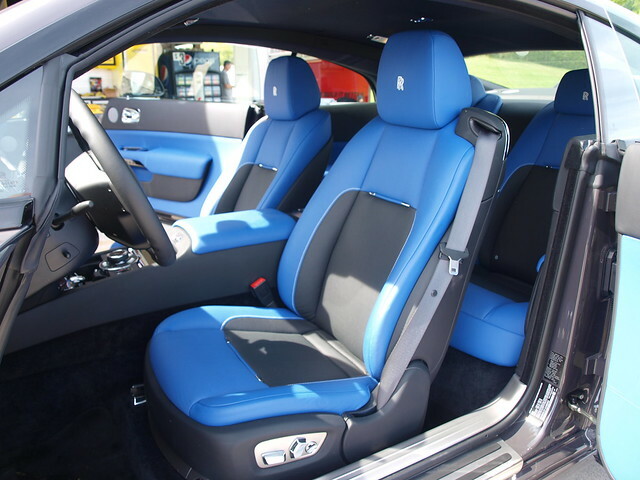 With Porcelain and Titan Red leather wrapped around every inch of the cabin, the supportive seats provided a comfortable place to get a tan. I also liked how Mercedes-Benz updated the S-Class lineup with new touches, including the three-spoke steering wheel that is better to drive with than the two-spoke version sampled about four years ago in the S 63 AMG sedan. By bringing these two divergent vehicles together reminded me of an old comparison made some 45-plus years ago. There was a time when Rolls-Royce and Mercedes-Benz could gang up on Cadillac for the superiority of the luxury car market. By the end of the 1970s, Mercedes-Benz had already won. That winning streak continues. For Rolls-Royce, its past image merged successfully with modern execution. This is a not a matter of the level of driving experience or how bespoke the car is. Rather, this is about maintaining the order of selection among automotive brands and the relative volumes that reflect exclusivity among its customers. In the Mercedes-Benz, there is a feeling of being alive in a car that offers the best engineering possible for a true feel of the road. Yet, this brand has its place in the pecking order of luxury – within and outside of its own lineup. In a sense, an S-Class offers a level of excellence that its customers demand regardless of sales volume. Which one would you pick – if money was no object? It’s a tough call, but I know that I am a humble person with a variety of tastes to satisfy. However, this exercise in overindulgence yields one conclusion – they’re both garner the highest level of aspiration in the automotive food chain.